The tool is an advance solution to export Mac Outlook 2011 contacts to CSV, vCard and Windows Outlook. 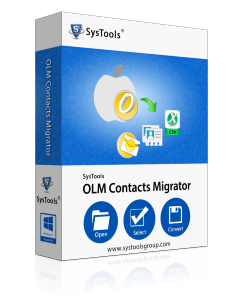 User can simply load the Outlook Mac contacts file and in simple clicks all of the contacts will be exported into selected format. The software swiftly export Mac Outlook contacts to Windows Outlook by offering the creation of Unicode PST file for all contacts which is importable in all latest Outlook versions including 2013, 2010 and 2007 etc. It is possible to export Outlook for Mac contacts to vCard using the software, which further avails in the management of contacts in vast application, as contacts can be accessed in different email clients, android devices and other smartphones. Using the tool one can easily export Outlook for Mac contacts to CSV which facilitates in the saving of contacts in the Excel spreadsheets. MS Excel workbooks can be further used to access in different applications including Notepad and WordPad etc. While exporting Mac Outlook contacts to CSV, vCard and Windows Outlook, preview of contacts is exhibits by the tool with details like Item Count, Current Folder, export format etc. This gives an idea about details like how many items are converted and expected time to export etc. Why Outlook for Mac Contacts Exporter Is A Worth Asset? Purchase the full version of the product for the conversion of address book of Mac Outlook in limitless mode at $69 only. How much time will software take to transfer contacts from Outlook Mac to Outlook Windows? The conversion time totally depends upon the number of contacts you have saved in Outlook Mac contacts file, lesser the number of contacts more time you save. Is there any specific system requirement for installing the tool in system? No, the tool does not possess any special requirement for installation nevertheless some are mentioned in home page of product. Does tool alter any fields of contacts while migrating into other file formats? No, the tool retain all properties of contacts intact while converting Mac Outlook contacts to CSV, vCard and Outlook PST. What size of OLM file can be used with tool to export contacts into multiple formats? There is no restriction in the size of Outlook Mac contacts to be used with the tool; file of any size can be used to export Mac Outlook 2011 contacts to CSV, vCard and Windows Outlook. Is there any provision to export selective contacts from Mac Outlook contact file to required format? No, once you load Mac Outlook contact file with tool it automatically loads all contacts and migrate them into chosen file formats.